Tada! Yesterday the title to the Sherlock Holmes sequel was officially announced: Sherlock Holmes: A Game of Shadows. Cue the creepy music. Well, it’s a much better title than The Amazing Spider-Man in my opinion. 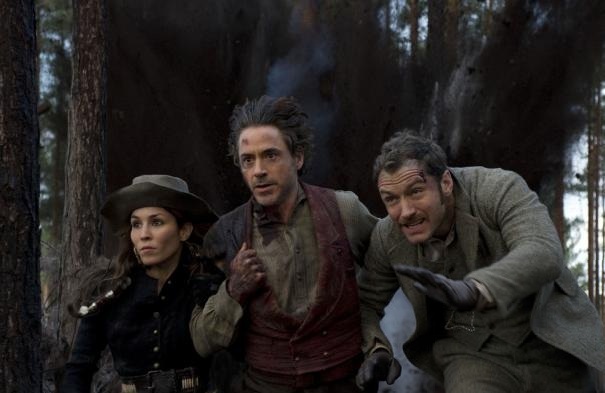 The Sherlock Holmes sequel is shaping up to be a pretty interesting project. 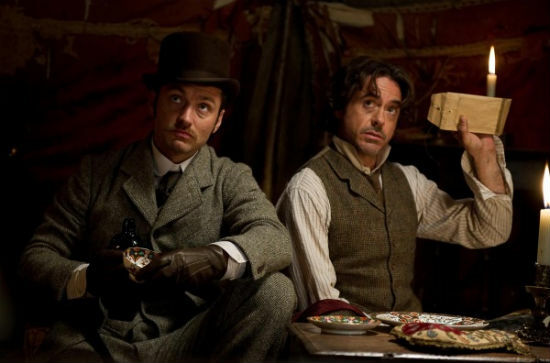 The first movie was a surprise hit that solidified Robert Downey Jr his comeback and gave Jude Law’s career quite a boost. Now, as you might know it is a truth universally acknowledged that any movie making over 50p at box office must have a sequel. So naturally, the sequel was promply announced with Guy Richie back at the helm. So far, I’m optimistic. As long as he brings back the devious humour that made the original such fun. I enjoyed the bromance of the original and am confident that the relationship between Holmes and Watson will be explored further. With Dragongirl Noomi Rapace onboard it should be an exciting adventure. British gem Stephen Fry also stars as Holmes his estranged brother Mycroft. I have a feeling there won’t be much love lost between the two siblings. Nevertheless, it will be interesting to see how the brothers get on and how often poor Mycroft gets pushed into harm’s way. Rachel McAdams is back for a bit part and I hope her costumes will be as fabulous as the first time around. Most of all, I’m curious if Jared Harris as Professor Moriaty will be able to fill Mark Strong’s large shoes. I thought the villain one of the highlights of the first film. It was a very dark and multi-faceted character with a bit of black magic thrown in for extra spice. Enemies are often my favourite characters but in Sherlock Holmes the man himself is equally intriguing and twisted. We’ll have to wait and see how Moriaty will hold up.